with Reserved Font Name “Cookie”. 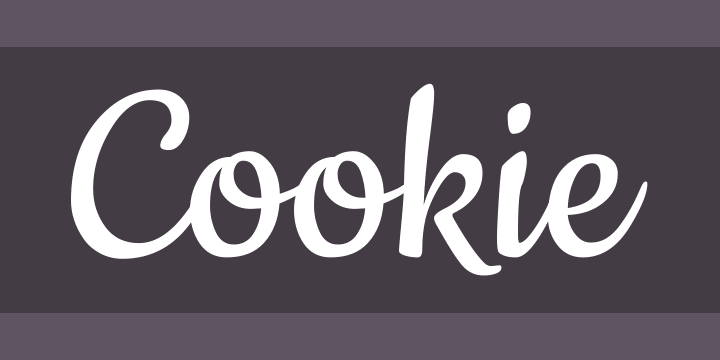 Cookie is a script typeface based on brush calligraphy. It has a little bit of 1950s style that makes you think about all the beautiful ads and pin-ups from this time. It is sweet and friendly - but not too decorative; simple and legible even in text sizes.